Four days before the New Year triggers a series of tax increases and budget cuts, both the Obama administration and congressional leaders are whipping up a crisis atmosphere to justify attacks on the social benefits and living standards of working people. 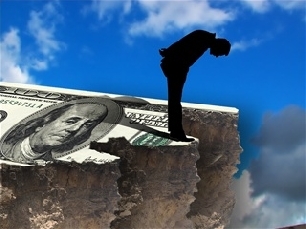 Whether or not there is a last-minute deal to postpone some elements of the so-called fiscal cliff, the outcome of the political charade in Washington is not in doubt. The political representatives of the super-rich, Democrats and Republicans alike, are orchestrating events to insure that the main burden of the crisis falls on those least able to defend themselves, including the unemployed, the sick, the elderly and the poor. All the proposals from the Obama administration and the Republican leadership to address the “fiscal cliff,” as measures that could take effect at the New Year, are premised on an historic attack on social programs that benefit the working class. • The expiration of extended unemployment benefits for more than two million workers who have been jobless for six months or more. • Rescinding the Bush-era tax cuts on all those paying income tax, cutting nearly $50 a week from a family making the US median income of $52,000 a year. • The restoration of the payroll tax to the level that prevailed in 2010, effectively a wage cut of two percent for every worker making less than $107,000 a year, or an additional $20 a week from the median family income. • The elimination of a series of tax credits for college students and low-income families with children. • Across-the-board spending cuts in a wide range of domestic programs, under the “sequester” provision negotiated by Obama and congressional Republicans in 2011. • A sharp decline in Medicare reimbursements to physicians, which is likely to reduce the number of doctors willing to take Medicare patients. The combined effect of these measures on working-class living standards is staggering, particularly for workers who are unemployed or surviving on low wages. There will be a dramatic increase in poverty, hunger and homelessness, and in the number of people foregoing medical care and other necessities because they cannot afford them. If these measures are not rescinded soon after they take effect, the longer-term impact could be a deepening of the recession, since the tax increases and spending cuts would drain $600 billion from the US economy over the course of a year. Both the Republicans and the Democrats are seeking to make use of the crisis to impose policies that would otherwise be politically impossible to enact. The metaphor of the “fiscal cliff” serves to disguise what is a deliberate decision by the political representatives of the financial aristocracy to devastate the social position of working people. Obama telephoned the Republican and Democratic leaders of the House and Senate Wednesday night before boarding Air Force One to fly back to Washington overnight from Hawaii. The White House declared that Obama had cut short his Christmas vacation to make himself available for further talks on the fiscal cliff, in the latest in a series of phony gestures aimed at striking a pose of “concern” over the effects on working people. Boehner held a conference call among House Republicans the same day, but declined to call the lower house back into session until a stopgap measure was proposed by the White House and adopted by the Senate. Late Thursday, Boehner announced that the House would meet on Sunday night, barely 24 hours before the deadline of midnight the night of December 31. Ultra-right Republicans in the House are opposed to any tax increase on the wealthy, while demanding larger cuts in social programs than offered by the White House. Last week House Republicans blocked a proposal from Boehner himself that would have allowed the Bush tax cuts to expire for families with annual incomes of $1 million or more. Treasury Secretary Timothy Geithner added a new element to the December 31 deadline, formally notifying Congress Wednesday that the federal government will hit its debt ceiling of $16.4 trillion that day, forcing the Treasury to engage in a series of one-time expedients to finance the government, a process that can continue for about two months. The Republican-controlled House of Representatives refuses to raise the debt ceiling, allowing further Treasury borrowing, without an agreement from the Obama administration to cut federal spending dollar-for-dollar by the amount of the debt ceiling increase. Obama agreed to similar demands in August 2011, embracing $1.2 trillion in cuts over ten years, mainly from non-entitlement domestic programs. After the breakdown of talks with Boehner last week, President Obama proposed congressional adoption of an interim deal that would continue the Bush tax cuts for families under $250,000, as well as extended unemployment benefits, and defer the budget cuts under the “sequester” for several months, to give Congress further time to act. Even if extended unemployment benefits are reauthorized, averting an immediate cutoff for two million workers, there is likely to be a further reduction in the duration of these benefits. A similar bill to continue the program through 2012 slashed the maximum duration of benefits from 93 weeks to 73 weeks, and for most states to 63 weeks or less.